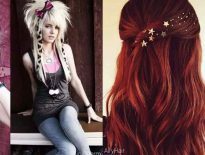 Update Your Hairstyle with These Awesome Ideas. For a woman, her hair is something that is sacred and means a lot. After all, we have spent many years growing the locks, and nurturing them as if it was our own baby. When you think of new fashion trends, the very first thing that pops into the most people’s minds is a refreshed wardrobe. That’s a nice way to start, but there is so much more to fashion. You can achieve even greater results combining both, clothing and your hairstyle. A simple hair adjustment could drastically change your look! It can transform one’s image from a boring housewife to a wild and passionate goddess. The opposite is also true. For instance, what you thought made you look like a queen or a princess five years ago, could appear quite different in today’s fast paced world. As the saying goes, times do change. If you think that updating your hairstyle is not important, look at some of the hair trends of the 60s or 70s and imagine rocking that look. It simply just does not work. If you don’t want to be left behind, updating your hairstyle should be of the same importance as any other accessory or piece of clothing. What Hairstyles Do Celebrities Wear? We have spent hours talking with some of the best stylists and doing our own research on hair trends that will be seen everywhere in late 2018 and 2019. It’s our mission to provide you with the multiple options that will work with your own style and look. If you try one look that just doesn’t sit on you well, go for another one and keep on experimenting. Imagine pulling a drastic new look that is perfectly complimented by new hoes, and an evening dress. If the image of you confidently walking down the street or a theater is something that you desire, there is no one stopping you from achieving any of that. Now that is a confidence booster, and it is all in your hair! The best part? It does not matter how thick, thin, short or long your natural hair is. You can always count on AiryHair extensions, be it for highlights (if you don’t want to dye your own hair), more volume or length. So, for women that don’t feel confident refreshing their hairstyle because of the problematic hair, we got you covered too. Everyone deserves a healthy-looking hair! Below, you will learn about the growing trend of blunt ends, bangs, find out what tones of blond are the most popular this season and how a simple hair accessory can push your look above and beyond what you thought was possible. Lastly, we have some great news for you this season. It looks like the majority of 2019 hair trends do not require a significant investment in time or money. So, there is really no excuse not to transform yourself into a fashion diva that everyone looks up to. One last word of advice: don’t be afraid to experiment. If you think that the hairstyle below will simply look weird, try it out anyway! You will be surprised on how often the opposite is true. Here they are, in a nicely made infographic to be shared with your girlfriends. 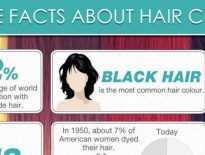 Share upcoming hair trends on your website. Please include attribution to AiryHair.com with this graphic.